Images Via Delia Grace Noble. 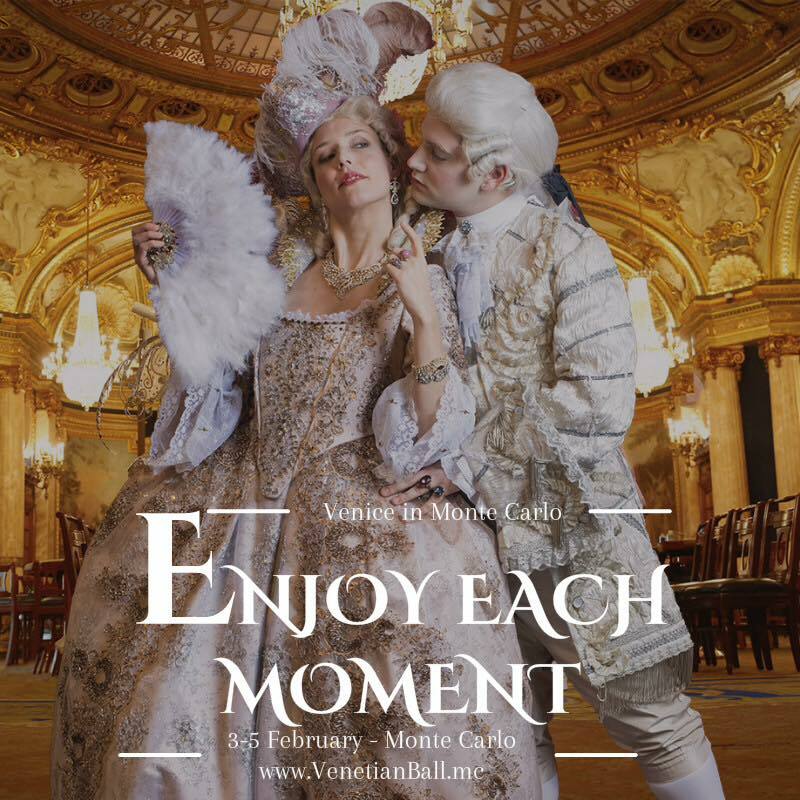 For a weekend, Monaco will represent and reinterpret the spirit and the traditions of the glorious Carnival of Venice. This elegant, mondaine and magical event, Ambassador of Venice, is a true tribute to Love with main features: a cultural collaboration between Monaco and Venice, an event in partnership with Yacht Club of Monaco, a Grand Venetian Masked Ball in period costume in the sumptuous decor of the Salle des Etoilles of Sporting Monte Carlo and a big colourful parade that will glitter with the hues of the rainbow in the Casino Square. Legendary venue on the Côte d’Azur, the Salle des Etoiles provides a dreamlike setting for an exclusive evening, thanks to its unique setting under the stars. It’s a magical venue and eclectic line-up for major events that plays a central role in the life of the Principality, hosting the legendary Bal de la Rose and the Monaco Red Cross Ball. Through its large bay windows, this venue, one of Europe’s most fascinating, dedicated to the most breathtaking of performances offers incredible views. For the enchanting night of VENICE IN MONTE-CARLO, we propose you this venue, ideally located in the heart of the Sporting Monte-Carlo. She is the perfect embodiment of all the magic and fantasy that awaits you in the Principality of Monaco. Curtain up! Is an artistic event of excellence and an unforgettable experience that unites the guests of the whole world to live a magical illusion and share a dream in which everything is possible. More than 70 artists, acrobats, musicians or instrumentalists will arrive directly from Venice to animate an unforgettable spectacle and testify the style and the quite exceptional character of this mirror event of Venice in the Principality of Monaco. A crescendo of visual effects, Sublime music, fascinating dances and artistic performances worthy of the most famous musical comedies brings to a place where time no longer exists. James from Luxury News Online is planning to attend and would love to meet you!